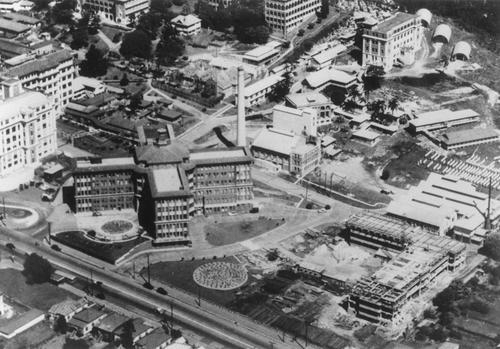 The Brisbane Hospital, as it was then known, first opened on the current Herston site in 1867 and The Women’s Hospital opened adjacent to it in 1938. 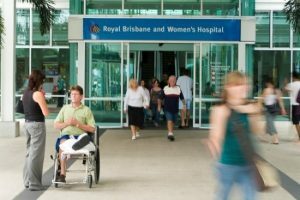 Both hospitals were officially bestowed the ‘Royal’ prefix by Queen Elizabeth II in the mid-1960s and in 2003 the two hospitals officially merged to become Royal Brisbane and Women’s Hospital (RBWH). Today, RBWH is the largest and busiest hospital in Queensland, caring for over 600,000 patients a year from Brisbane and throughout Queensland, Northern New South Wales, the Northern Territory and neighbouring countries in the South West Pacific. The hospital houses close to 1000 beds along with a number of specialties including medicine, surgery, orthopaedics, neurology and trauma services. It also boasts Queensland’s largest cancer care service. 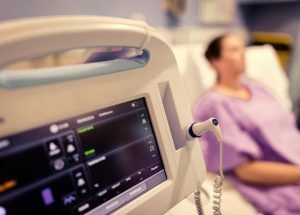 The hospital’s Women’s and Newborn Services provides comprehensive care of obstetric, gynaecological and neonatal intensive care on an inpatient and outpatient basis. Over 4,500 babies continue to be born at RBWH each year, totalling over half a million babies since The Women’s Hospital first opened in 1938. Many Queenslanders have a connection with RBWH – with numerous families boasting multiple generations born at the hospital. Whether a patient or visitor, the Royal as it is still affectionately known, is a trusted healthcare provider and features many world-class services and facilities as well as being an internationally recognised research institution with links to all Queensland’s major universities. To find out more information on Royal Brisbane and Women’s Hospital and its services, please visit their dedicated website by clicking here.